Pre-Register for Training and Receive a 20% Discount! All Employers and All Employees – All employers are required to take reasonable steps to prevent harassment in the workplace and harassment prevention training for all employees is recommended for all employers to establish compliance with this legal requirement. Mandated Supervisor Training – Businesses with 50 or more employees must meet additional requirements with regard to the scheduling and type of training provided to supervisors. These businesses are legally required to provide all supervisors with at least two hours of harassment prevention training every two years and all new and newly promoted supervisors must receive this training within six months of hire or promotion. This training must also meet specific legal requirements and be provided by qualified instructors. Abusive Conduct Prevention Training Starting in 2015 – In addition to the specifically mandated training certain supervisors are required to receive with regard to sexual harassment prevention, training on the prevention of “abusive conduct” must be provided starting in 2015. For purposes of this law (AB 2053), abusive conduct includes conduct that a reasonable person would find to be “hostile, offensive and unrelated to an employer’s legitimate business interests.” 2015 is a training year for many employers and training to prevent abusive conduct in the workplace must now be provided. We offer a variety of affordable training options. We charge a single flat affordable fee for this training – and because there are no per person charges, we encourage employers to have all employees attend this training. Harassment in the workplace is a serious concern for all employers, and providing training to all employees can help establish that all reasonable steps were taken to prevent it. Local Presentations – Our attorneys provide training on a regular basis at locations near you. Contact us for information about upcoming presentations. NEW Online Training – Our new online training programs are perfect for employers who wish to establish and communicate clear policies prohibiting harassment and abusive conduct in the workplace. Training programs suitable for new hires, all employees, and supervisors are available. Our new program will be available starting in 2015! If you pre-register by November 20, 2014, you will receive a 20% discount. Contact Jillian Bruni, MBA at jillian@lmrcenter.com or 858-753-1775 for more information and pricing or register at https://lmrcenter.com/Event-Registration.html. This entry was posted in employment law, harassment prevention training 2015, human resource, Law & Management Resource Center, new employment laws, online training and tagged harassment prevention training, new laws 2015, online harassment prevention training on October 27, 2014 by Law & Management Resource Center. 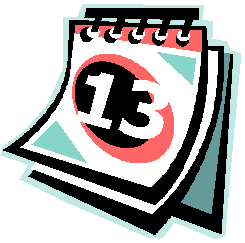 November 13, 2014, 8:30 a.m. to 10:30 a.m.
More than 20 new employment laws are coming into effect in 2015. Join us for this presentation and learn what laws will effect your business and its employment practices. Find out what you need to do to be in compliance at the start of the year. Linda Aguilar, Senior Deputy Labor Commissioner for the Division of Labor Standards Enforcement (DLSE), the State agency that adjudicates claims filed by employees against employers for wages, investigates discrimination complaints, and enforces labor laws and wage orders, has agreed to join us once again! Come get information on the new laws from the agency that enforces them! Start off the new year educated and with the right tools to help protect yourself and your organization. Don’t miss this insightful presentation on what’s new for 2015, answers to common employment law and human resource questions, and practical guidance for compliance as the new year begins – all in a beautiful and comfortable setting with continental breakfast included. Register Now! Take Advantage of Super Early Bird Discount! Bring a Friend and Get $10 Off Each Registration! *If registering together, please include all names and you will receive the discount automatically. If registering separately, please include all names and you will receive a $10 credit when your friend(s) register. This entry was posted in employment law, new employment laws and tagged dlse, employment law update, employment law update 2015, human resources, new laws 2015 on October 9, 2014 by Law & Management Resource Center.